We caught Commune Crepes' pop-up at Pendulum Fine Meats in Norfolk, VA recently. 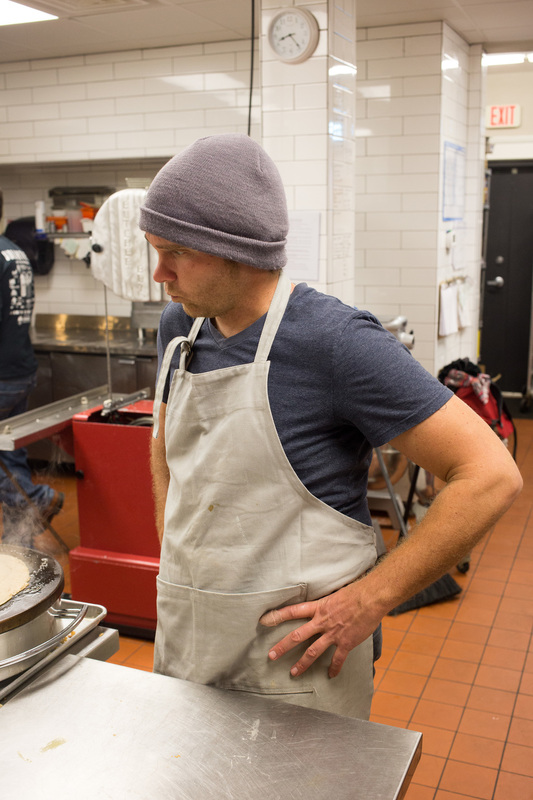 Kevin and crew were whipping up crepes and serving a delicious mushroom soup using Dave & Dee's mushrooms. There were two savory and one sweet crepe to order - we went with the Pasture-ize and the the Saison. The Pasture-ize was made with pasture raised sous vide chicken, fresh spring greens, pickles and sprint herb ailoi. The Saison was fresh spring greens, roasted benne sweet potatoes and sprint onions then dressed with whipped chevre and wild onion vinaigrette. Our creamy oyster mushroom soup was named Sedley's Finest. There was a good crowd in Pendulum and it was nice to bump into friends and familiar faces. If you've missed Commune's pop-ups they'll be opening a restaurant in Virginia Beach with an expanded menu.